Celebrating over 45 outstanding years in the music industry, they bring their fantastic show to King’s Hall, Ilkley on Friday 9 November as part of their Feel The Force 2018 Tour. Formed in 1972, The Real Thing had three million-selling hit singles in the 70s and 80s. 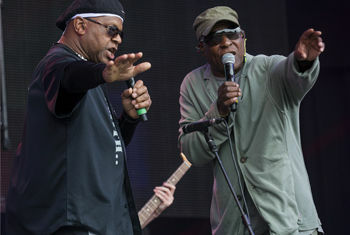 Universally known for their legendary hits You To Me Are Everything, Can’t Get By Without You and Can You Feel the Force, as well as their ground-breaking 1977 song, Children of the Ghetto, The Real Thing remain pioneers in soul, funk and dance music.